The flowers are blooming, the sun is peeking through the clouds, the scent of grassy air, the pastels are in full force… All these beauties signal another wonderful Spring season is already here! It is time to refresh your ideas to start something new, and we firmly believe you already have great plannings ahead to peak out this year. 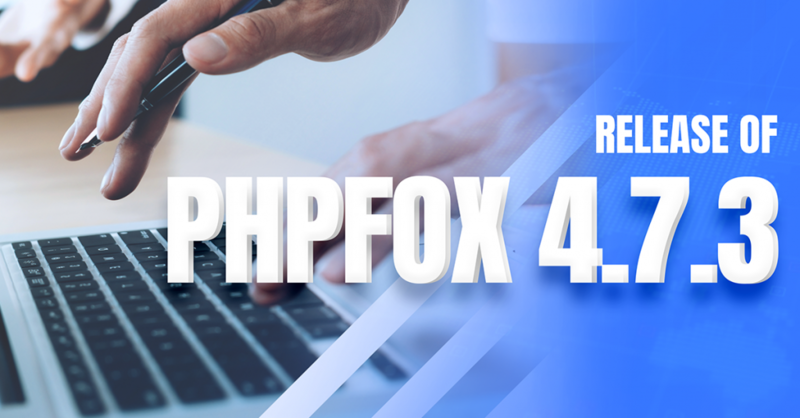 Building up from clients’ opinions and feedback from Github Tracker, community and ticket system, we are fascinated to announce that phpFox 4.7.3 is officially released. As a push to lift up Spring spirit and a tribute to our clients, we release this version to ultimately maintain the stability and usability of the platform. So let’s start upgrading and replenishing your Social Network with phpFox 4.7.3 now to enjoy all the latest improvements and features! – Responsive embedded videos in blog posts. – Message to indicate if a profile is Private. – Support better multi-language feature. – Update language & phrases. – Can’t access installed apps if phpFox Store is down or unavailable. – Thumbnail image of user profile doesn’t update until clearing the cache. – Can’t cancel or save cover photo when repositioning. – Privacy settings are reverted when update Profile menu settings. – The deactivated menu will be re-activated after re-arranging menu order. – Site-wide block 3 or 10 positions in unusual places after refreshing the page. For the full list of improvements and bug fixes, please visit the Release Notes. If you are developers and looking for the changes in the Core script in this version, please refer to the complete changed files. We highly recommend you to back up your site and database before performing the upgrade. Also please check with 3rd-party experts about the compatibility of all the apps/templates you are currently using. Take advantage of useful guides below if you want to upgrade the site yourself. – All the apps from phpFox are fully compatible with the phpFox 4.7.3. – If your phpFox site is using 3rd-party apps or has customizations, please go over our recommendations to have a swift and safe upgrade process. If you found any issues with this version, please let us know by submitting tickets or reporting immediately to our GitHub Tracker. We also encourage you to join and stay connected with the Community Forum. We welcome any feedback to make phpFox better and better every day. So feel free to let us know your thoughts on this release by emailing us at hello@phpfox.com. Let’s enjoy phpFox 4.7.3 today with us!